The club has received the following message from Justin Phillips, the son of longstanding club member Celia Phillips, which he has asked is shared. I am sad to announce that Mum sadly passed away yesterday evening peacefully in her sleep. She'd had her family around her all day as she came to the end of a 12 year battle with Alzheimer's, a cruel disease that robs you of yourself. Mum's whole life was spent helping others, not just her family and she made an enormous contribution to the sailing club as well as Tall Ships and many local historical societies. She is missed by us and by many others who remember her selfless generosity and pleasure in helping others. 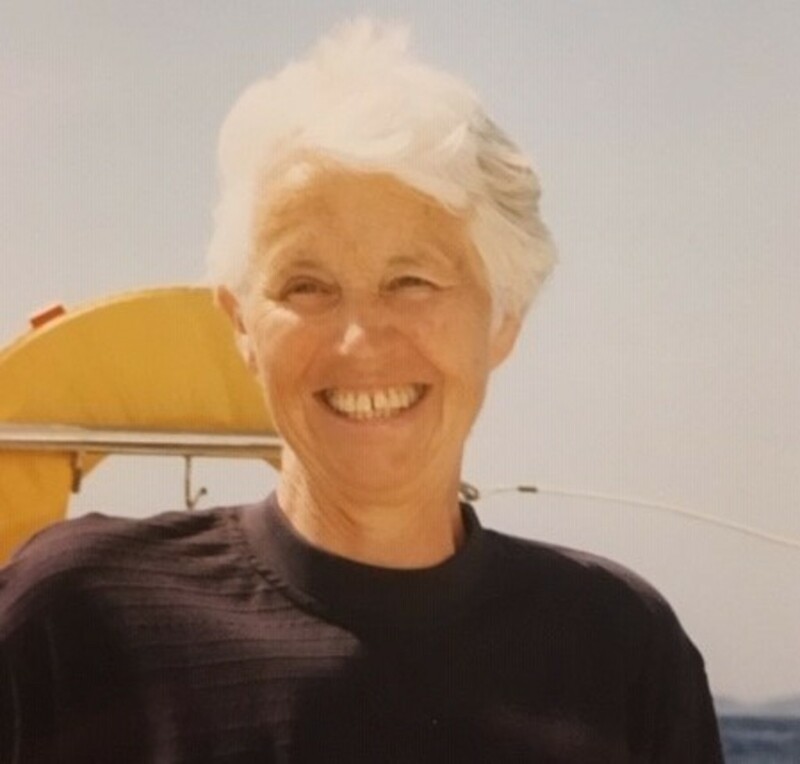 She loved sailing and was never happier than out in boats; Phil Everard's Enterprise, the Larkham and Easton boats and others that she was able to get out on. We will hold a cremation in Wiltshire and a Wake / Memorial Service in Barnt Green, where her ashes will be interred with Judith's in the Upton Warren church. I'm doing a sponsored bike ride from London to Paris to raise money for Alzheimer's Society to help prevent others going through this awful experience. (I'm no cyclist - I hadn't ridden a road bike for 40 years before starting this challenge). The JustGiving details are below please ask all members who I remember Mum to sponsor me on her behalf. We are advised by Justin Philips that the funeral date for Celia Philips will be on Friday 26th April.Cremation at Redditch Crematorium at 11am with a wake at BGSC in the clubhouse from 12 noon approx. Both are open to everyone who would like to attend..